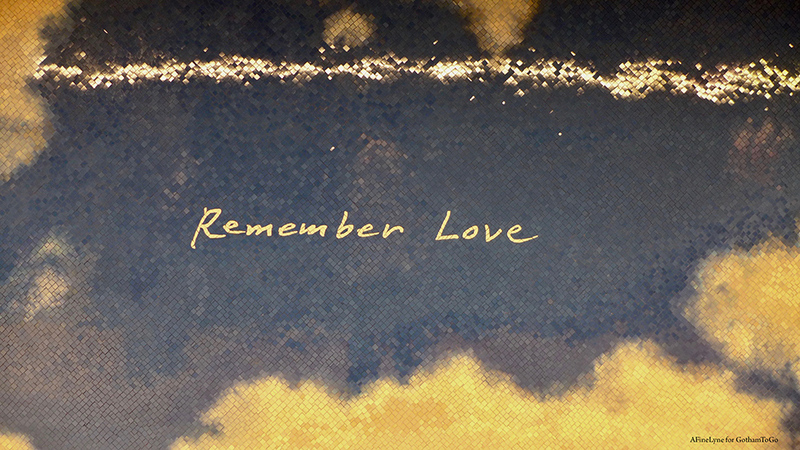 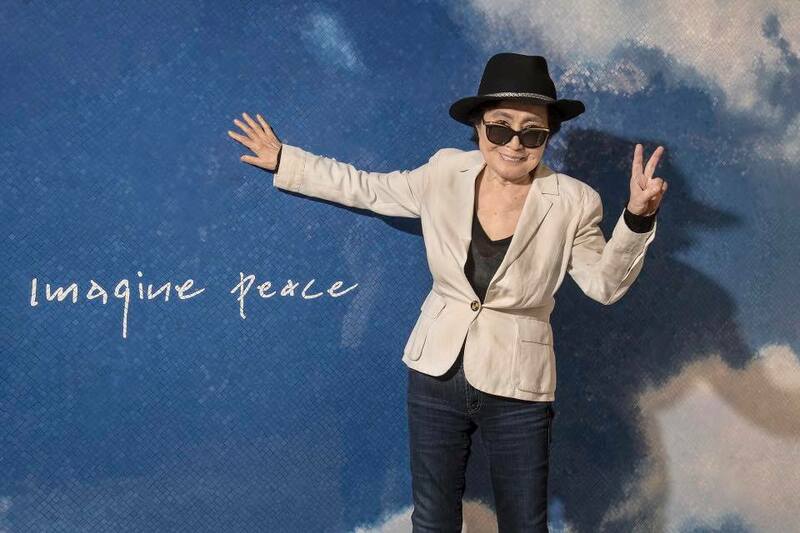 ……..And imagine if Yoko Ono created this mural in a subway station adjacent to The Dakota, where she shared her life with husband John Lennon from 1973 until his death, and where she still lives today. 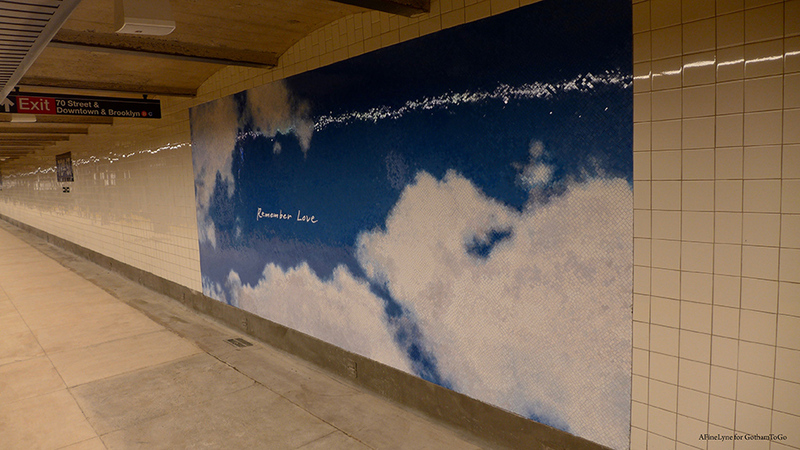 The 72nd Street B/C Subway Station, undergoing a major renovation, just reopened with six mosaic panels spread throughout the station from 70th Street to 72nd Street, created by Yoko Ono. 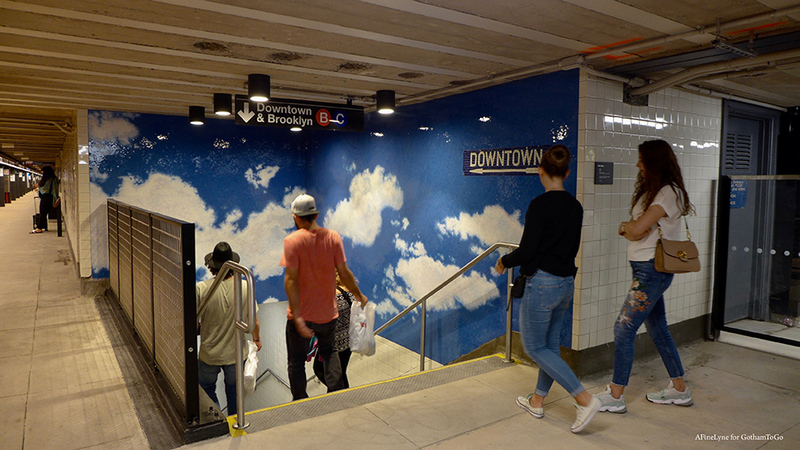 Through MTA Arts and Design, the series of intricate ceramic mosaic murals of cloud-filled skies, was fabricated by Mosaic Art and Design. 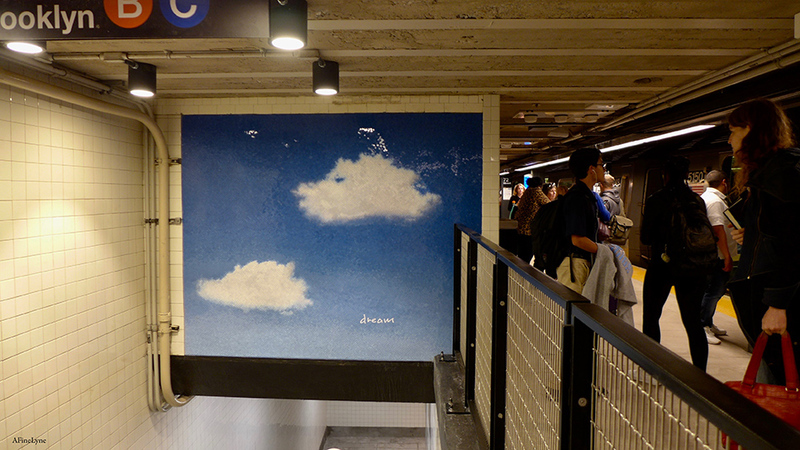 “I’m thrilled that my new work, Sky, is at the 72nd Street Subway Station, just steps from my home and Strawberry Fields, which I created in memory of my late husband” said Ono. 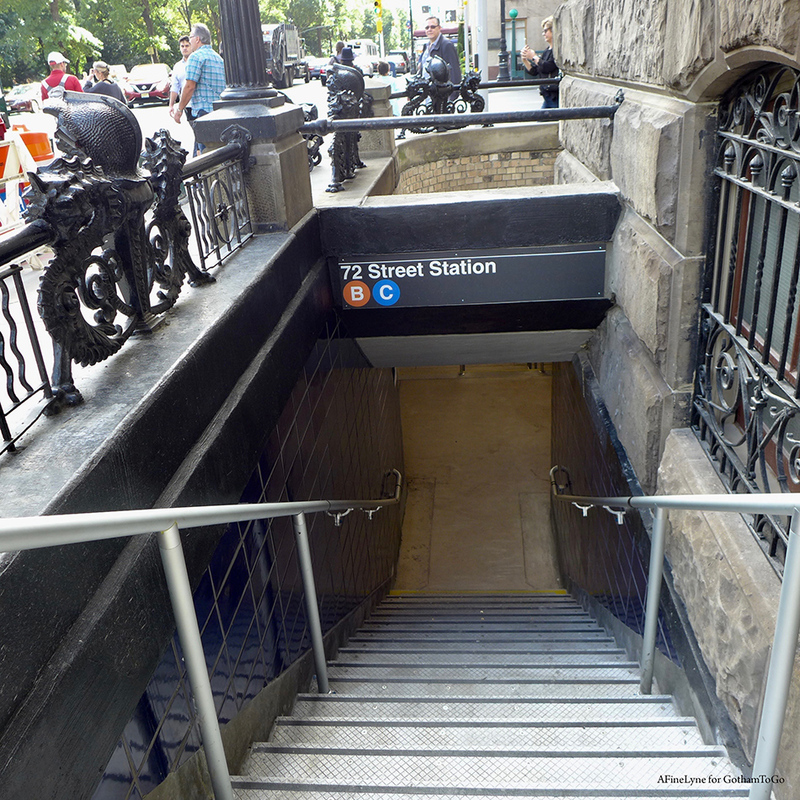 Moving through the station, walking along the platform from 72nd Street, heading south toward 70th Street. 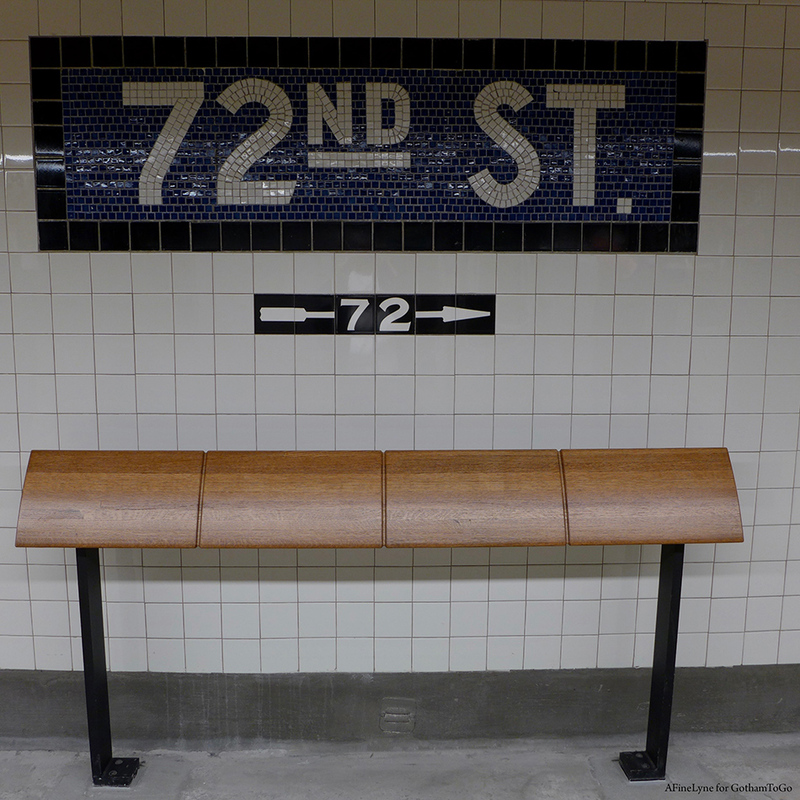 Midway along the platform between 70th and 72nd Streets ~ Remember Love. 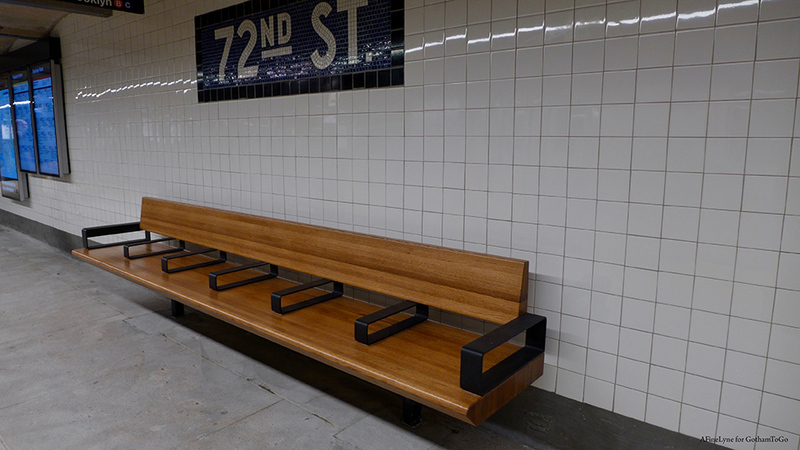 #B/C Line get a whole new look! 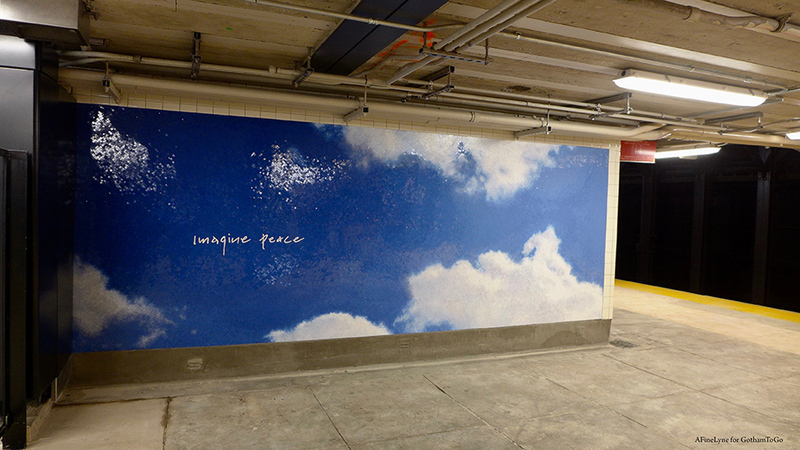 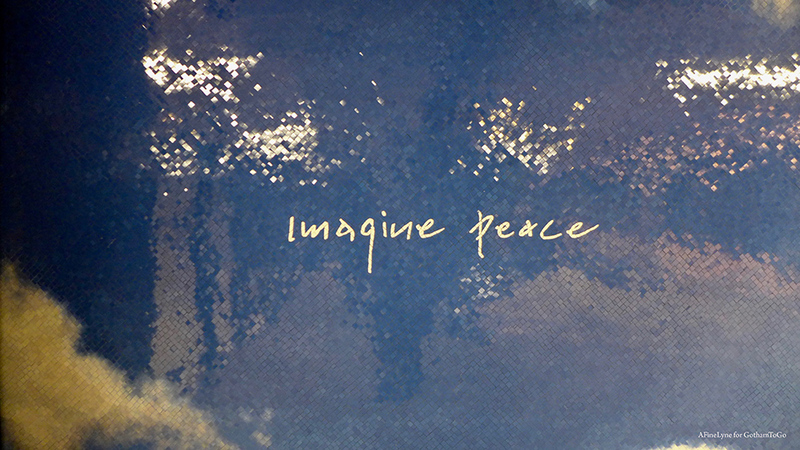 We left the Station, crossed the street and walked over to Imagine and Strawberry Fields.